This licensed Disney bounce house gives a beautiful spring meadow view with all of the favorite Disney Fairies. Kids can join Tinkerbell and her closest fairy friends Rosetta, Iridessa, Fawn, and Silvermist for a day of jumping fun! 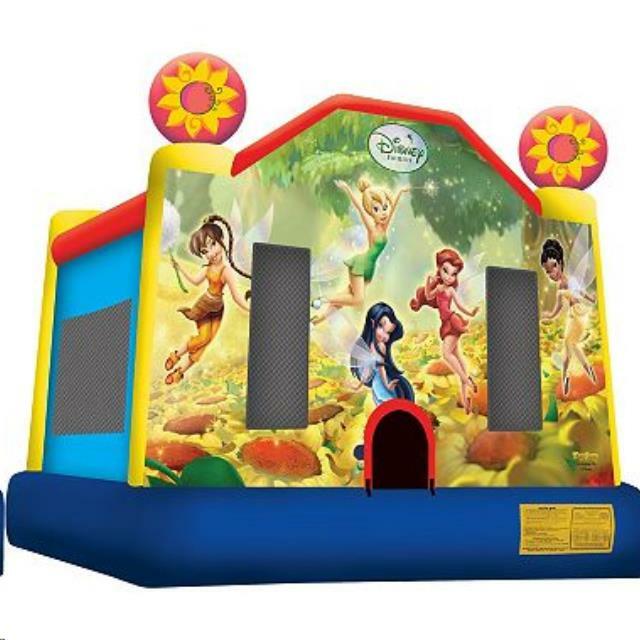 Young players can imagine they're fluttering above a field of sunflowers with this licensed Disney jump, the perfect bounce house for any fairy-in-training. * Please call us for any questions on our tinkerbell friends bouncer 13 foot x13 foot rentals in Rocky Mount and Wilson NC.